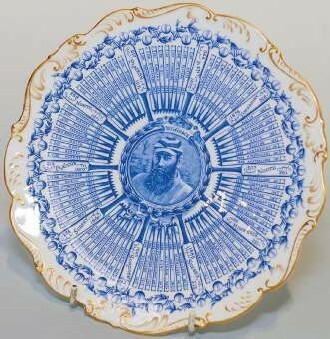 A rare blue-printed plate featuring the legendary cricketer WG Grace (1848-1915) is among the highlights at the Chester Antiques Fair. Grace, a right-handed batsman and bowler, dominated the sport during his career. Because he was a medical professional, he was nominally an amateur cricketer, but is said to have made more money from playing than any professional cricketer. He was the first cricketer to score a century on more than 100 occasions, achieving the feat in 1895, and it was for this remarkable event that Coalport of Staffordshire, produced the plate in question. It is on offer from Roger de Ville for £850. The Chester Antiques Fair, which runs from February 7-10, celebrates an achievement of its own at this edition: 30 years at the county grandstand. A Penman event, it includes objects priced from £20-25,000, with all stands fully vetted. 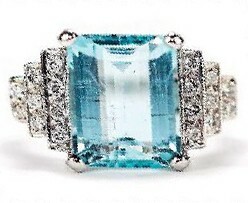 Among the other objects on offer is an 18ct white gold step-cut aquamarine ring, offered by Howell for £1900.